What prompted you to take part in these awards last year? As far as we’re concerned these are the most prestigious awards in our industry and we are always incredibly proud to take part and enter. In addition, we wanted to showcase the great work that all of our team do each and every day here at Ventrica and the fantastic partnerships we have with our clients. We always hope we will win, as this is just the icing on the cake for the team. How do you feel these awards compare with other award programmes that you have taken part in? They are very professionally organised and managed, the categories are relevant, the judges are knowledgeable industry professionals and the awards evening is amazing and makes every single finalist feel special no matter what the result is. We love these awards. One small thing and we realise it takes extra time but if the silver winners were able to go up to collect their award too it would make it even better especially as they’ve come so close. What are your lasting memories from the judging process? As an outsourcer with a number of clients, we work very differently to contact centres that operate in house. The judges really demonstrated that they understood our business and industry and in addition, how we work as an outsourcer. The judging was detailed and it felt like a very open and fair process. What are your lasting memories of the awards dinner? What an amazing night! From the venue, food through to the theme of the evening, it truly was an exceptional night. So well organised and of course the icing on the cake for us was winning ‘Best Outsourced Contact Centre 2017’! A lasting memory we will never forget. How did you celebrate your achievement back in the office? We celebrated with the whole team – put signs up all over the centre congratulating everybody (a few corks were popped), and there was a real sense of pride and achievement which was felt throughout the whole centre. Do you have any tips for organisations that are thinking of entering the awards this year? Don’t hesitate, just enter. Be proud of what you do and do not give up! Keep entering each year. We have certainly had a few unsuccessful entries but we kept on entering, as we believed so much in our teams and in the process that eventually we’d be recognised for what is happening here. Yes in so many ways. 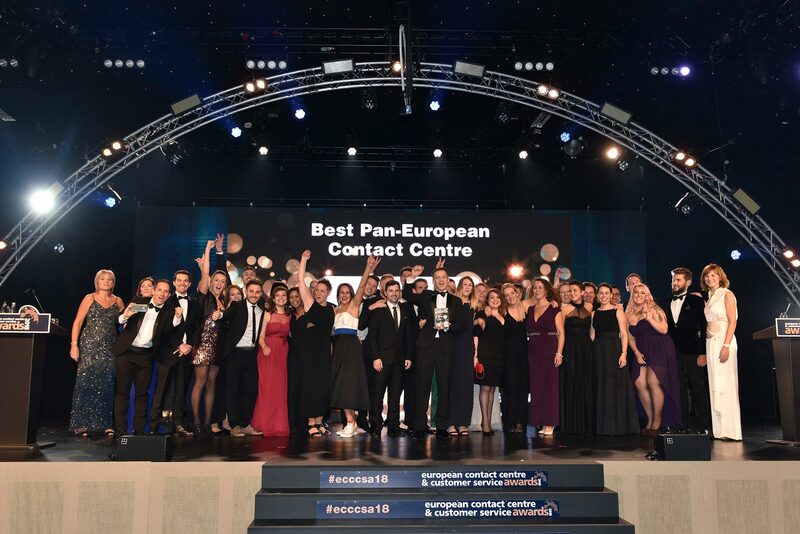 We have a team who are truly proud to work for the ‘Best Outsourced Contact Centre 2017’. This is also very appealing to new recruits joining Ventrica. In addition, it is an amazing accolade to add to our tenders and a great talking point with existing and potential clients. We have our awards logo on our website in pride of place. We would just like to say thank you to the hard work of all the judges, they were nice and knowledgeable and certainly helped the team to relax throughtout the judging process. We would also like to comment on the exceptional awards evening – the whole event was amazing.